This November 2017, the UnionBank will conduct a public auction of its foreclosed properties. A total of 185 properties such as residential, commercial and agricultural are for grabs. The public auctions are to be held on November 25 in the morning. Bidders need to bring Php20,000 show money in the form of cash or manager’s checks (MC) per property to participate in the auction. 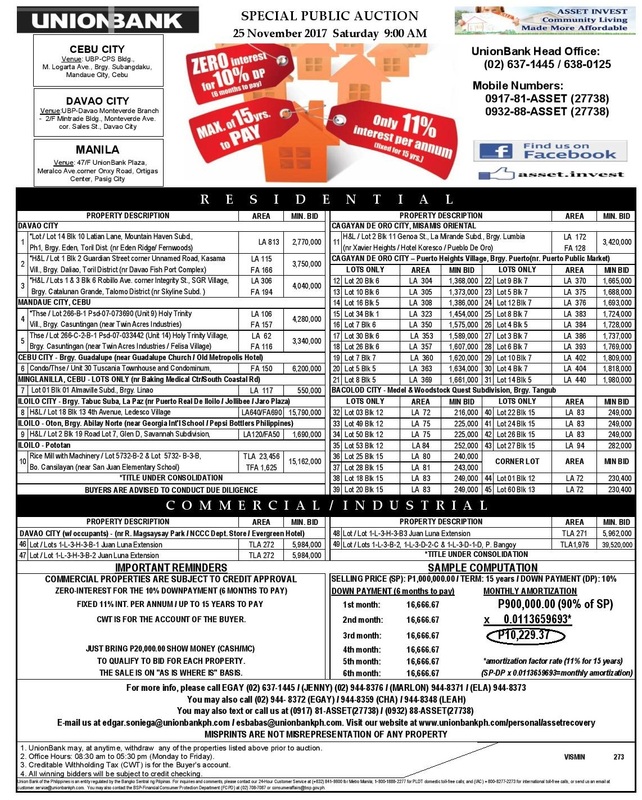 For Inquiries, call UnionBank directly through the contact numbers in the flyers/listings which you can download below. 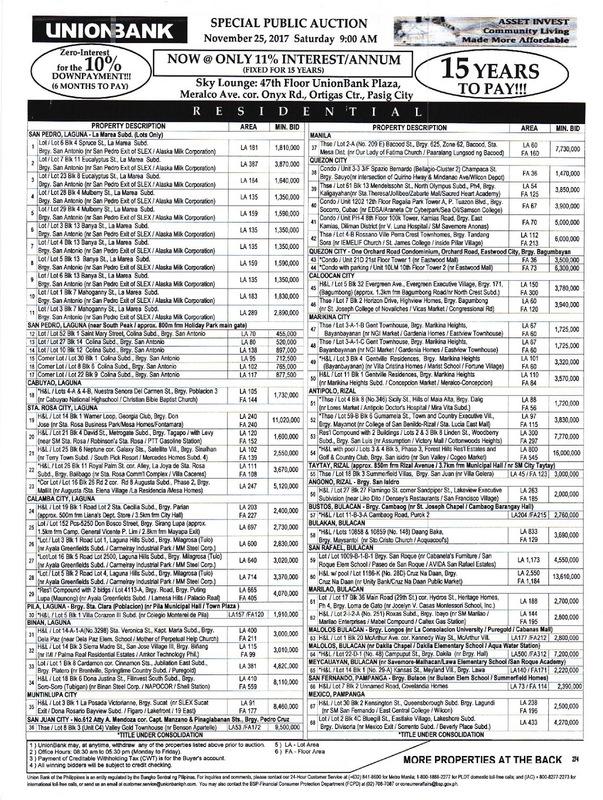 You can download the PDF file of property listing to enlarge the image for the information. Contact details are at the bottom of the page.